It’s been about 4 months since my last visit to the Joy of India restaurant at the Brickworks Marketplace. It’s good to come back to a business to see if they’re consistent. Just like last time, I was warmly greeted by Owner and Executive Chef, Sam Semwal, who escorted me to my table. Sam informed me that they have a new chef on the books, but with Sam overlooking everything, quality would not be compromised. I’ve already talked about the restaurant in my previous review, so we’ll get straight into the food. I started off with the Vegetable Samosas which come in a serve of two. 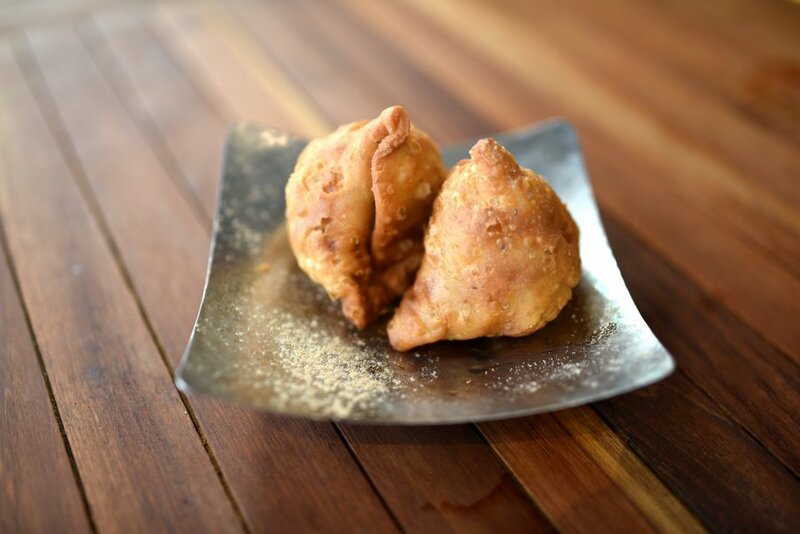 Generously sized, the samosas were fried to a light golden brown. The outer pastry was nice and crispy, and not overly thick. The filling was made up of lightly curried peas and potato which wasn’t overly spicy. It was a great way to start off proceedings. For the main, I had the classic Butter Chicken. The curry was made from chicken thigh pieces that were juicy and succulent. The sauce was thick and creamy, and the flavours were well infused into the meat. 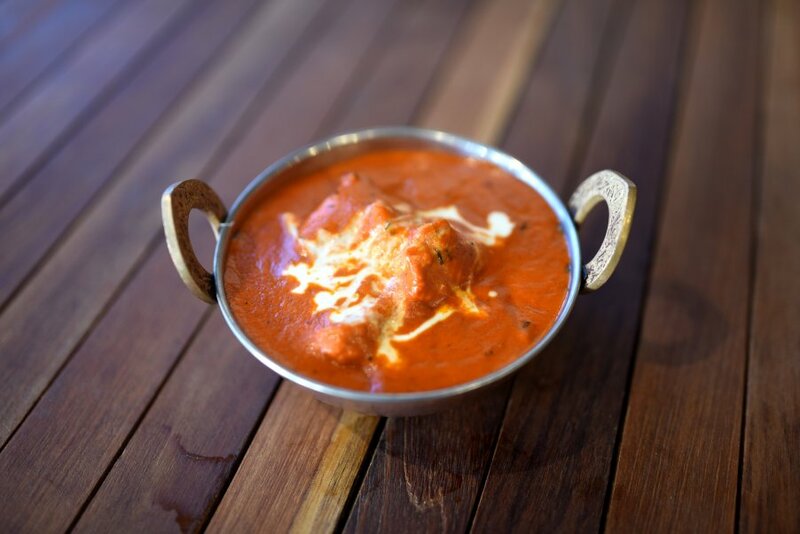 The Butter Chicken was one of the best I’ve had, and it left me wanting more.